West Brom have sacked manager Tony Pulis. This come after a 4-0 home defeat to Chelsea, which extended the Clubs winless streak to 11 games and left them one point and place above the relegation zone. Gary Megson is set to take charge on a temporary basis. In a statement on the clubs website, the management said: "These decisions are never taken lightly but always in the interest of the club. We are a results business and over the back end pf last season and this season to date, ours have been very disappointing. We would like to place on record our appreciation of Tony's contribution and hard work during a period of transition for the club which included a change of ownership. We wish him well in his future endeavours." Tony Pulis was appointed manager of West Brom in January 2015, and took the club to 13th, 14th and 10th in his seasons in charge. The bad run started in April of last season where they failed to win any of his last 9 matches and the run extended to this season. 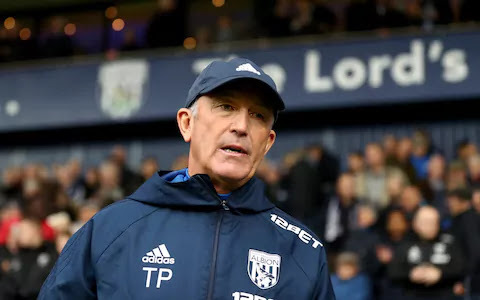 In what looks like Dejavu, Tony Pulis was appointed when former manager Alan Irvine was sacked when he left the club just a point above the relegation zone. Pulis in an interview before the Chelsea game believed the Hawthorns would struggle to replace him.